When was your first sunrise experience? Co-worker is wearing a frown again. She does it six days a week and I’m getting used to it. At first, I tried to infect her with the sunny disposition I think I have but to no avail. Well, as someone once told me, “To be happy, you must be your own sunshine.” Maybe tomorrow is a better day for her. *** But isn’t it amazing that we fill our planners with dinners and movie dates and a million other activities without actually knowing if the sun will come out the next day? I actually don’t have a planner. Yet before sleeping, I always make a tentative list of what to do the next day. What if, for the heck of it, the sun gets tired and just decides to take the day off? Random thought. *** One of the things I always wanted to do when I came here was to witness a mind-blowing sunrise. However, waking up early is but an ordeal for a night owl like me. As much as I want to tick that task off my bucket list, sleepiness always gets in the way. Then the perfect chance came. Me waking up early to see the Sun. And so I did. I can't remember anymore when was my first sunrise experience. Seeing early morning the sunrise really feel great. It was like watching a miracle. This is such a beautiful picture.. it has all the components I love the rocks the seas/oceans and the sunrise. Yup I agree some people don't really have it in them to be happy.. they walk as though the weight of the world rests on their shoulders. I'm pretty sure you have taken snapshots of the sunrise too. @sol_cee Yup... all the time.. Sadly, I can't remember mine. @Tierkreisze the same sun in different setting. I love your sunrise photo! Beautiful! I've captured lots of sunrise photos in the beaches and each time, sunrise never fails to amaze me. It is all by God's grace that the son comes to shine for a new day and hope people should learn to include prayers in their plans for the next day. Sadly, many people forgot to be thankful. @sol_cee That is truly a sad thing. @DianneN because Sol is the Sun. It's a beautiful picture. I've seen many sunrises, so I don't know when the first was. It was my first. And it was mind-blowing indeed. @sol_cee I'm sure it was. I've seen many and they are all mind blowing. Each is a work of art only God can create. @just4him Agree! Never the same sunrise. Did you take some pictures? @sol_cee Yes I have some pictures of the sunset. I always take pictures of sunset to the places I go. I always see the sunrise in our hometown , while growing up . We always wake up early that's why , because our father would walk with us to the beach , in our hometown , to take a morning swim . That's a lovely memory with your dad. @sol_cee Yes. Actually , our father is strict but still he always let us have fun on weekends when he doesn't have work . I have always been an early bird and I have seen many sunrise in my life. The best one years ago in Italy. We stayed out dining and dancing with friends all the night and instead of going to sleep we waited on the beach to see the rising sun. It was a beautiful experience. Sunrise in Italy. That must be lovely. @sol_cee Yes, the sunrise on the Mediterranean is beautiful. I was born in Italy, I have lived there until I was about 25. I am guessing it was way back when was around 9 or so years. @sol_cee yes I still have that memory. That's a gorgeous photo, glad you got to see it. I don't see many myself as I am a night owl too. Sorry you have a grump as a co-worker. The grumpy coworker is all smiles today! That is a nice photo! I still haven't seen a sunrise like that, with the sun's reflection on the water except on photos. You will see one soon Queen Bee. With your king. I have not really been to the sea or the mountain to see the first sunrise, but I wish some day I could. I can see from the picture shown that the first sunrise is really beautiful when it appears on the the horizon. It is an experience I look forward to some day. Facing the sunrise, what kind of feeling do you have? I would like to know about it if you would be happy to share with us. Thank you a lot for your nice picture and discussion. Enjoy a beautiful day. It was surreal. I was left speechless. I closed my eyes for a nanosecond and imagined I was home. Only not. My third year at the University of Miami (1974). The guy I was dating (who eventually became my husband) kept me up all night. The sunrise was beautiful! That is so sweet. Envy envy. mornings ain't my best too but I like watching the sun set. My first sunrise experience was in the island of Aklan. 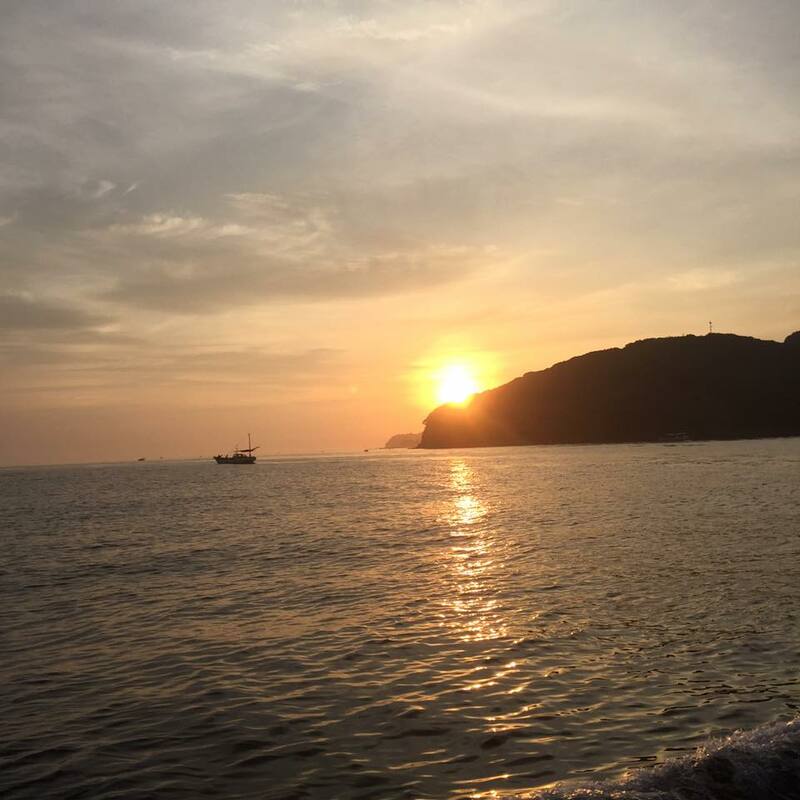 I will never forget the beautiful beach and the beautiful sunrise and sunset everyday. oh my, how well worth the effort! kudos to ya fer finally gettin' that chance :) 's fer yer grumpy co-worker, perhaps she's lots'n her plate 'n aint figured out how to deal with't all? perhaps nobody to speak with to ease her burdens, thus the grumpiness that seems to've taken o'er her soul.... i aint a planner neither, ne'er 'twas much good't such. always seems somethin''d occur to throw a wrench'n the 'plans' 'n thus i'd feel somewhat a failure. i jest take each day's she comes, delighted to witness both the sunrises 'n sets. big hugs! I have more than 10 planners. The biggest and the most beautiful sunrise I have ever seen was in Bangkok. I woke up at 4:50 in the morning when it was still dark and I would see the red sun coming up in that City at 6am. That's a beautiful picture. I have a pocket planner, but I don't use it for daily things. I think the only time the sun gets a day off is when there is an eclipse.